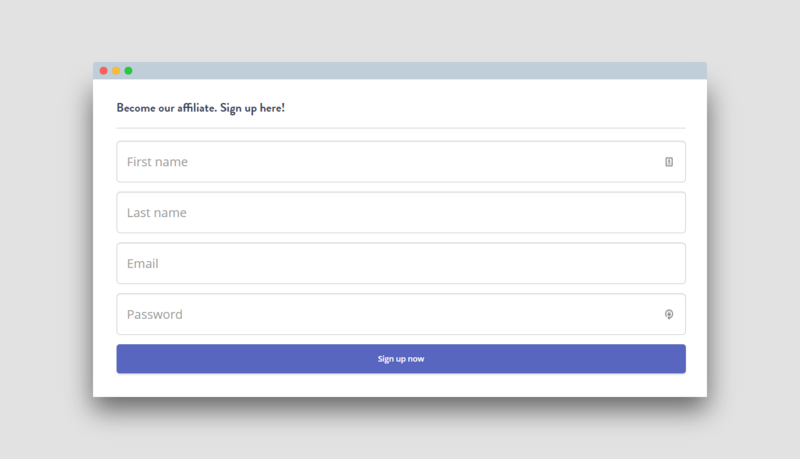 How to sign up to be an Affiliate. Learn how to sign up as an affiliate for Spocket and make basic changes to your settings. Once you have learnt about the Affiliate Program and decided to help our mission of empowering entrepreneurs- you will need to sign up. You can do this by clicking on the Start Earning Now button on the Spocket Website. This will redirect you to the sign up page where you will have to fill your details such as your name, your email ID and a password. You will then be directed to the account settings. Here, you will need to fill up your address, your preferred language and optionally, your company details, timezone and your website. The next step will ask you to fill out your payout method- the PayPal address that you wish to transfer your earnings to. Currently, our program is compatible with PayPal only. Once you have entered those details, we will verify you as an affiliate within the span of 24 hours. You will be guided through your dashboard in the meantime. Once you are approved, you will be ready to begin your journey as Spocket’s Affiliate! For a complete explanation of what’s what on your affiliate page- Check out A guide to your Affiliate Page.